Inspired French Normandy Chateau harkens you back to the countryside of France where classic country manors were romanticized from traditional French farmhouses, but with a slight contemporary edge. Enter through the exquisite stone arches to discover the perfect touch of modern finishes and classical design in this NEW CONSTRUCTION, creating a timeless symmetry. Hipped-gable roof displayed over elegant windows imported from France create a Tudor like elevation. Among the manor+GGs many features are dual masters with a large balcony and stunning mountain views. There are also two additional en-suite rooms and an office. Enjoy a movie in the cinema/media room adjacent to the family room. The ideal entertaining home wouldn't be complete without a wine cellar and a custom pool and a spa. 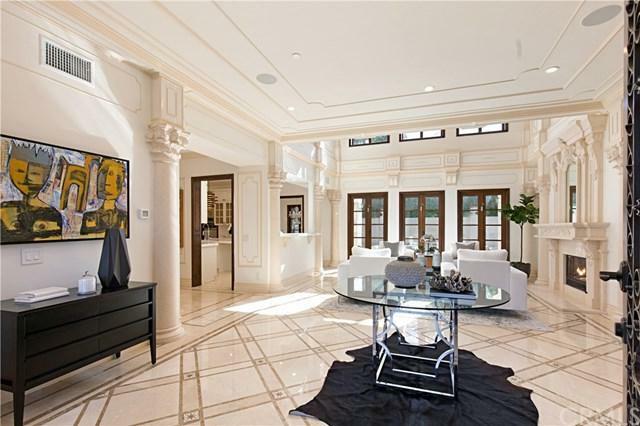 This home is wired as a smart home with nothing but the highest quality finishes of hand carved corinthian columns, Calcutta Gold marble crown moldings, Italian Navona travertine siding and Spanish Crema Marfil marble flooring. Home perched above the street with curb appeal and entry fountain greets you ... A perfect home for the most discriminating buyer. BIENVENUE +G LA MAISON!